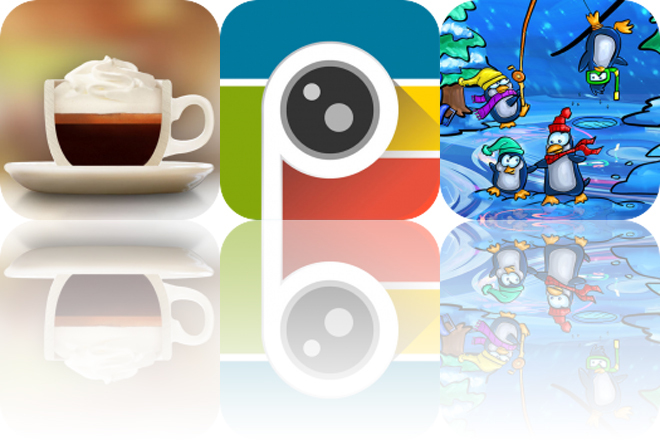 Learn about the most popular espresso-based drinks, blend photos, and join Drew on another adventure with today’s collection of apps and games. PhotoTangler – Best Collage Maker to Blend Photos is available for free for a limited time. It has a 4.5-star rating with a total of 229 ratings. The Great Coffee App ($2.99 → Free, 61.4 MB): A reference app for the coffee lover. Those who want to experience something new. The Great Coffee App is available for free for a limited time. It has a 4.5-star rating with a total of 402 ratings. Magic Twist – Piano Hop Games ($1.99 → Free, 164.4 MB): Keep the ball from falling off of the tiles in Magic Twist. Fans of one-touch games. Magic Twist will have you tapping to the beat. In each level you’re asked to tap the screen to the beat and cause the ball to jump from tile to tile. You can earn bonus points by tapping at just the right moment. The gems collected on each play through can be used to unlock new songs. Magic Twist includes more than 30 tracks from music genres like Trap, Dubstep, EDM, and Electro. Magic Twist – Piano Hop Games is available for free today only (08/01). It has a 5-star rating with a total of 124 ratings. Drew Meets Boo ($1.99 → Free, 140.7 MB): Join Drew as he meets a new friend in Drew Meets Boo. Parents. Drew Meets Boo is a storybook about a boy who finds a new friend. The rhyming tale features narrated text and loads of interactive elements to enjoy. The story will teach your kids about friendship and overcoming bullies. Drew Meets Boo includes English, Spanish, and Chinese language support. Drew Meets Boo is available for free for a limited time. It has a 5-star rating with a total of 10 ratings.